How to change a cell’s font to a particular font family, say Arial? 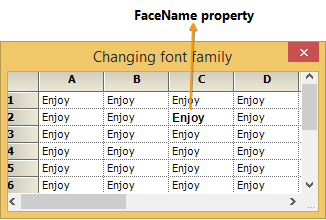 To change a cell’s font, use the FaceName property of the font object for that cell. A cell’s font object is given by the font property of the cell’s style.